Later, Shivaay sat in his room playing the piano to help him forget. The notes came fast and furious, his fingers flying across the keys as he closed his eyes and waited for the music to drive Annika from his mind. It’s always been you. The tone varied, fast and slow, angry and sad, as though giving the perfect background score as Annika’s pained, wounded face appeared in his mind just before she left. But she hadn’t left. She had escaped. From him. I just wish it were anyone else. Shivaay’s fingers pressed on the keys as he stopped and swore, the thunderous noise from the instrument drowning his own. Her cool response to him—so very deserved—had nevertheless left him consumed with a desire to possess her. To brand her his own. He knew that if Annika had not stopped him, he would have taken her to his bed. The thought had left him paralysed and he had no choice but to drive her away. The truth in her eyes….. It haunted him. He shook his head, as if he could clear it of her memory. What was it about this woman? This plain, unassuming woman whom he had never before noticed? There was nothing about her that was plain or unassuming now. He hated himself for thinking about her as such. He recalled Natasha referring to her as passably pretty and he wondered at the words. Annika was not simply passably pretty, she was not just exotic. He had no more words to describe her. The strength with which she faced him, the straightforward approach of hers– She was the living image of her name. She was a Godess. And he wanted her now with a ferociousness that surprised him. Of course, he could not have her. Mahi had been right! Annika wanted love. Shivaay had known that from the very beginning—she didn’t hide her belief in the power of the emotion, her unwavering faith in it. He paused in his playing, wondering what it would feel like to believe so strongly in the power of love to do good. To bring happiness. He shook his head, bowing low over the keys of the piano. He’d never seen that side of love. He’d only seen the pain it gave, the devastation it left behind when it disappeared. A memory flashed, of his father professing his undying love for his wife. A wife who walked out on her duties as wife and mother without ever looking back. Twice. So much for love everlasting. He might not agree with Annika’s assessment of love, but it did not mean that he had the right to treat her so unconscionably. She deserved infinitely better. He would apologize. Even if he did not regret his actions in the slightest. He continued to play, the notes growing slower, more contemplative, reflecting the mood of Shivaay as he relaxed now that he knew what to do. A knock sounded and Shivaay paused, wondering if it could possibly be Annika who had come back to him again. He turned and spoke for the person to enter. Another person who deserved his apology. He was clearly not doing well at the moment. Shivaay : Swara! Please come in. I… I am sorry. I did not notice it was so late. Swara switched on the light as she stepped inside. Shivaay noticed she held a package in her hands and wondered what it was. Shivaay : Oh, let me speak first. I’m sorry for today. I should not have told all those words to you. Swara smiled and Shivaay returned the gesture. Swara : I’m sorry too. I will try not to lose my temper so often. Shivaay : Something that we both should try. Swara chuckled, then held out the cover towards him. Swara : It’s customary to give a gift after a fight to maintain shanti, Isn’t it? Shivaay smiled at Swara’s usage of hindi. She was fluent but she still didn’t speak clearly. He took the package, curious to see what it was. How long had it been since he’d received a gift? A gift from someone who expected nothing in return? Looking back at his sister, he registered the expectant excitement on her face—her obvious hope that he would enjoy whatever was inside. He took out a gift wrapped rectangular object. A book. How funny. He opened the gift wrap carefully and saw the book. A music book of the world’s greatest composers : Beethoven, Mozart and many more. Shivaay’s eyes lit up as he ran his fingers through the music notes, his hands itching to return to the piano and play all night. Shivaay : This is such a thoughtful gift. Thank you. She gave a small, shy smile and nodded. Swara : I’m so happy you like it. He marveled at the fact that this girl who had been through so much, who had found herself unceremoniously delivered to the doorstep of a complete stranger a continent away, would have thought to purchase a gift for him. Shivaay (looking around guiltily) : I don’t have a gift for you. Swara : Of course not. This is just what families do, right? Shivaay : I wouldn’t know. It’s been just Mahi and me for a long time now. Swara leaned forward and hugged her brother impulsively. Swara : Well, it’s the three of us now. We can be the sort of family who give gifts to each other for no reason. Shivaay put an arm around his sister feeling lighter than he had in a long while. He drew back and kissed her forehead gently. Shivaay : That sounds marvellous. Swara (casually) : May I suggest that as the only sister, she is entitled to be spoilt with lots of gifts. Shivaay (laughing) : I agree. Maybe you should discuss this with Mahi. Swara : Really? Do you think he’ll agree? Shivaay : You can certainly hope so. They settled into companionable silence for a few long minutes, and Swara watched as Shivaay leafed through his new book. Shivaay : This is an amazing gift, Swara. Thank you. Swara : Annika thought you will react like this. She said that you will love it. Shivaay stiffened at the mention of Annika. Swara : Yes. She is very good at judging people. She gives excellent advice. Shivaay shifted in his seat. Swara : You look guilty, Shivaay. Shivaay : Yes, Well– I may have yelled at her as well. Swara : Yeah, You do have a tendency of being tactless. 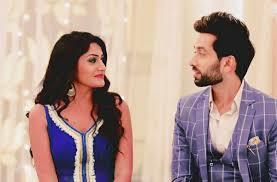 Shivaay smiled and looked at his sister. Shivaay : Pandey never told me you were this cheeky. No one’s ever spoken to me such. Swara (shrugging) : You were overdue for a sister then. Swara stood up and looked at him. Swara : Annika is truly a very nice girl. She will do all she can to make a situation right. A vision flashed, Annika standing in the doorway of his study, so obviously hurt by the words she had overheard and yet so willing to speak for Swara to him. As though her personal pride were somehow less important than Swara’s happiness. When he turned his attention back to his sister, she was looking at him with a knowing gaze. Swara : You’ve noticed that. Shivaay : It’s hard not to. Swara : You should apologise to her and make things right between the two of you again. Swara smiled and nodded. She bade him good night but Shivaay stopped her. Shivaay : I have tickets for an art exhibition tomorrow. My charity sponsors the gallery and they really want me to attend. Would you like to come too? Swara flashed her brilliant smile again and nodded enthusiastically. Swara : I would love to. I haven’t seen much of Kolkata yet and anything would be fun, except for the shops ofcourse. Oh, Speaking of which, how much poorer are you now? Shivaay stared at her, then burst out laughing. Shivaay : Cheeky brat, you need a brother more than I need a sister. Swara : You may be right. The next day, Annika got down from the car and waited for her sister and Om to join her. Gauri : I can’t believe we are coming here. Seriously, Couldn’t you have chosen something else to do? Annika : You know I love art. Besides, If I have to spend the day with that man, I need to do something that I love. Gauri : But this is just an exhibition. It’s colour on a piece of paper. What’s so great about that? Annika (chuckling) : Haven’t you heard the quote – “The earth without art is just eh”? You understand so much about yourself and the person who painted it. The reason he or she did this, the reaction and change you observe in yourself as you observe the painting. It’s all about introspection. Gauri : Or it’s a ruse to ignore him as he walks with us. Annika : No, that’s a plus. Now come on. I want to go in as quickly as possible. Om : Shouldn’t we wait for him? Annika groaned. The last thing she wanted to do was spoil her gorgeous day. But Om was right. He had called yesterday and when she had replied in the affirmative, it was only responsible of her to stay there and wait for him. Gauri : How rude. He told us to be here at eleven, Right? Then, where is he? Shall we atleast get the tickets? Annika : He said he already had tickets. Otherwise, I would have said no. But it seemed mean when he had them. Gauri : And you dragged me here so that you could avoid spending time with him. Annika : Don’t you dare ditch me, Gauri. I need the support to get through today. Gauri rolled her eyes, then turned to Om who smiled and drew her to him. Annika smiled at the adorable couple, then sighed, knowing that it was useless to pine for something that would never happen. Gauri : I think he’s here. Yes, Look, there he is. Come on, Annika! Let’s go greet him and go inside. Then you can fawn over your art as much as you like and I will fawn over Om. But Annika was not listening to them. She looked at the approaching man and her insides froze. Would today be wonderful?